To start importing products you need first to authorize your site with the Google Chrome extension. Click on AliDropship extension icon and Log in. 1. Make sure that you are using the latest versions of AliDropship plugin, theme and AliDropship Google Chrome extension. You can always get the updated versions here: Plugin, Themes, Extension. 2. Go to your WordPress admin area -> Plugins -> Deactivate ALL third-party plugins, especially security plugins like WP Cerber, All-in-one Security, etc., cache plugins like Autooptimize, etc. 3. Clear the cache of your Google Chrome browser. 4. 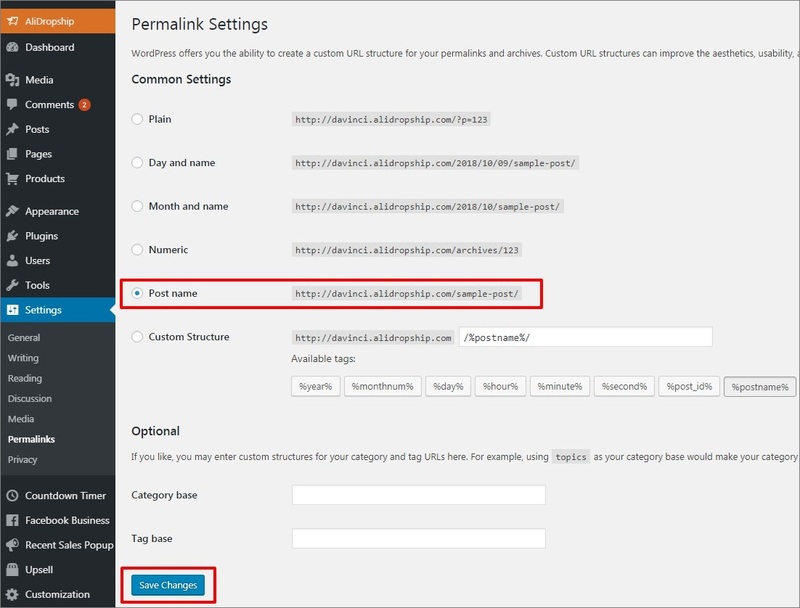 Update (re-save) the permalinks like it is shown below. 6. Contact your Hosting support and ask them to activate mod_rewrite module.